Disclaimer: “Peanuts”, “Snoopy Peanuts” and “Peanuts Snoopy names and images are the copyright, trademark and property of United Media. All rights reserved. Cross stitch patterns found in this site bearing the Peanuts and Peanuts Snoopy names and images are for personal use only. 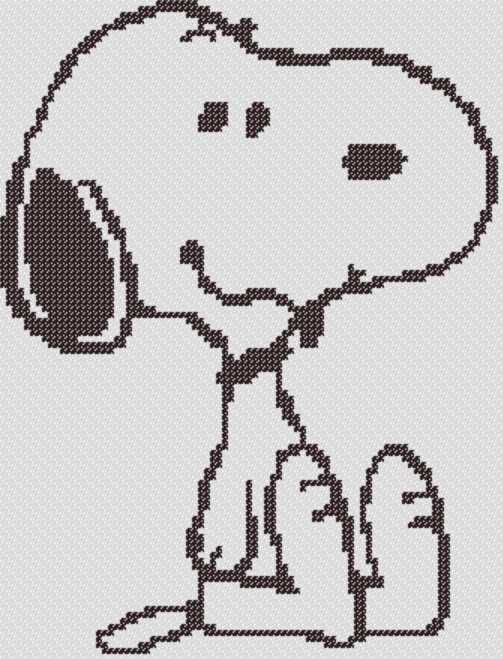 This is one of our free cross stitch patterns named Peanuts Snoopy, a simple yet entertaining pattern that would be great for your next children’s cross stitch project or complete this cross stitch chart to make as a gift for those who are fond of this wonderful animation character. Download Peanuts Snoopy Cross Stitch Pattern zipped file (approx. 256kb — downloaded 163 times). The password for this download is “crossstitch4free” without the quotation marks. Please DISABLE your pop-up blocker to access it.